Protein Powders for women can be a difficult world to navigate; there are so many different kinds, flavors, formulas and types that it can be hard to decide which protein powder is best for you. Women seek out protein powders for many reasons, from weight building to weight loss, muscle recovery to nutrition supplement. 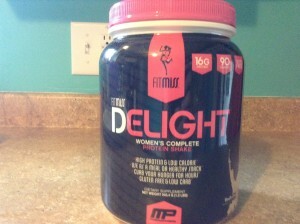 If you’re looking at a protein powder that will help you along your weight loss journey, one to consider is Delight, the women’s complete protein shake from FitMiss. Weight loss for women can be a difficult and frustrating journey, as our cravings, emotions, and hormones can affect how and what we eat each day. FitMiss Delight boasts many benefits to women seeking a formula that will aid in weight loss by curbing hunger and cravings while still consuming the appropriate viatmins and minerals necessary to live and thrive. Fitmiss Delight will help you to reach your weight loss goals while still being a pleaseant and easy product to drink. It comes in a smooth Vanila Chai flavor, which our taste testers noted as being “sweet.” It is a bit grainy, but a quick run through the blender with some ice or other goodies should get rid of that quickly. The drink has very little odor, but the taste makes it smooth going down and a great option for a breakfast or lunch shake. It also can be used as a tasty snack shake to keep you energized between meals, without the temptation of junky snacks from the vending machine. 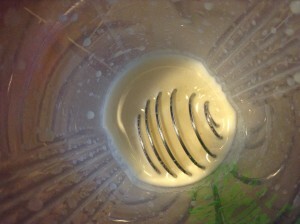 in that scoop so you are getting a solid product without a lot of extra. Also to benefit your weight loss goals, Fitmiss Delight gives you those 16 grams of protein in only 90 calories, which is one of the lowest calorie products we have tested among protein powders for women. The composition of the protein of this product is unique; it consists of whey protein concentrate, isolate and hydrolysate, but also features a special mix called Solathin, which is a potato and egg based protein. Fitmiss claims that this combo allows for more effective weight loss. As for other additions, Fitmiss Delight does add in a few extra nutrients, like calcium, iron, magnesium and potassium, which are all important facets in women’s health. They add in a “greens and fruit blend” and a digestive enzyme blend to give you added nutrients and make it easy on your tummy. 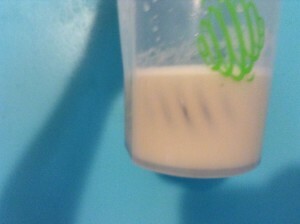 Fitmiss Delight protein powder is gluten free, but does include milk, soy, and egg ingredients. It also features artificial sweeteners, so it boasts better taste, but is not an all natural or organic product. It comes in very cute packaging, perfect for the girly girl looking for a great protein shake that is made just for women. How about some Pros and Cons for Fitmiss Delight? Overall, Fitmiss Delight is a great option for women looking to lose some weight and do it in a healthy fashion without sacrificing taste and nutrients. It features a high protein yield and added vitamins and blends to be a fully healthy product. Fitmiss Delight tastes great, and would make a great addition to your diet; before you know it, you’ll be flaunting that bikini on the beach!